The recent tensions began when the left-wing and anti-bailout Syriza party assumed power in Greece this January. 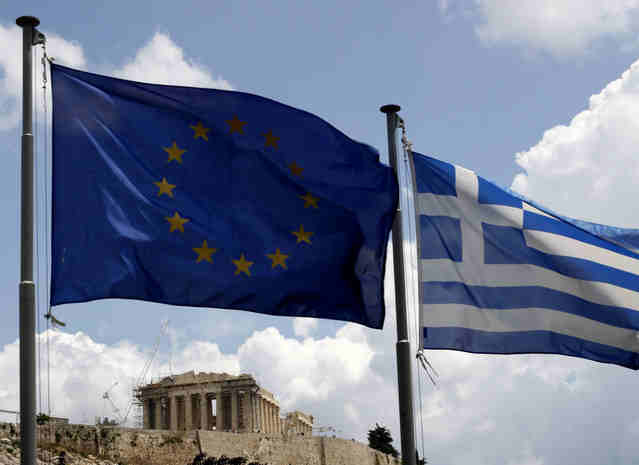 The Greek finance minister Yanis Varoufakis, has deemed his country bankrupt, and is asking for a bailout extension. Germany denied the extension, because it believes Greece can actually afford to pay its debts but just does not want to do so. 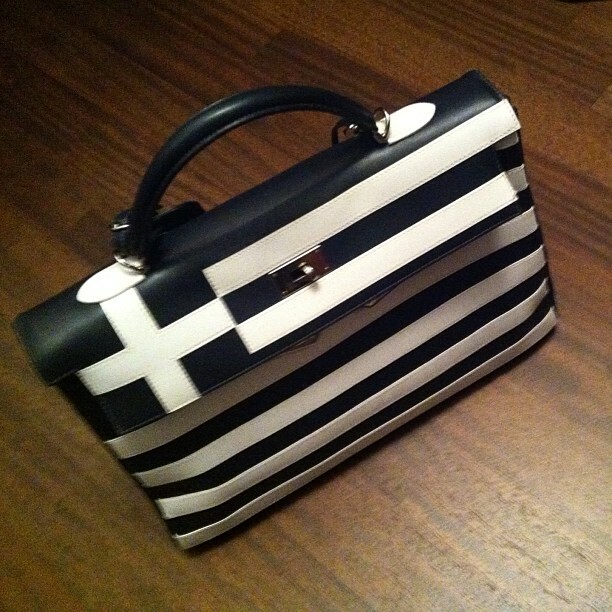 Maybe this can go into the debt payments – Hermes Kelly Bag redesigned as the Greek flag. Why would Hermes, the brand that sits atop the luxury accessories hierarchy, recreate their famous Kelly bag as a Greek flag? It’s not because the Greeks are special to Hermes – actually just one of them. Lakis Gavalas, designer slash socialite slash entrepreneur slash contestant turned judge at Greece’s Dancing With the Stars (I didn’t make the last one up), is one of Hermes’ most valued client. Mr. Gavalas relationship with Hermes is so special that he has been given the opportunity, on multiple occasions, to redesign Hermes’ classic bag styles for his own personal use. These redesigns eventually became available to the general public. The Hermes Kelly Lakis and Birkin Lakis (look like the original designs, but with outside zipped pockets) are very much coveted by the brand’s fans. The Hermes Kelly inspired by the Greek flag has no official name (Bailout Kelly probably didn’t get approved). No word on whether this bag or any of Mr. Gavalas’ extensive Hermes bag collection was offered as settlement for Mr. Gavalas’ unpaid tax obligations. No word also on whether Hermes will design a bag in the image of the European Union flag. Bags with stars look tacky, so I suppose that will not happen. Has austerity measures ever actually gotten a country/region out of recession/depression? Greece is getting special treatment IMO. If this was a developing country with a much smaller loan, the IMF will come down hard on it with impunity. No ifs no buts. They might be getting special treatment, but do we have any case examples where austerity actually helped a nation/region get out of debt/recession? I look forward to retiring to Greece in say 40 years, when land prices are still low but they have a functional government again.